eTrex 30x adds a built-in 3-axis tilt-compensated electronic compass, which shows your heading even when you&apos;re standing still, without holding it level. Also added is a barometric altimeter which tracks changes in pressure to pinpoint your precise altitude, and you even can use it to plot barometric pressure over time, which can help you keep an eye on changing weather conditions. 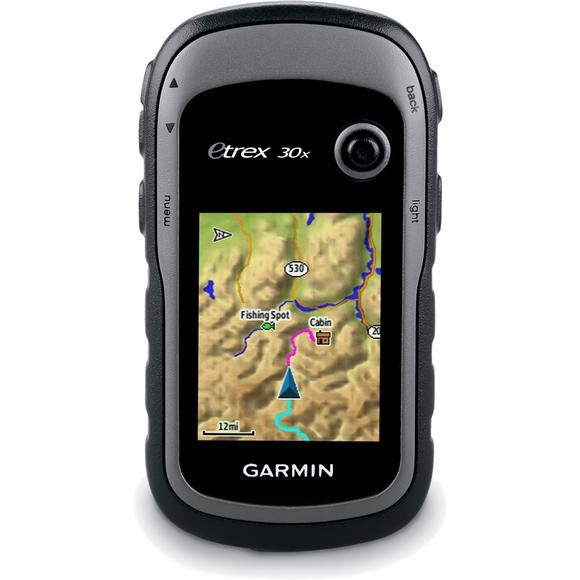 Wirelessly connecting to a variety of compatible Garmin devices, including VIRB® action cameras and ANT+® sensors (including a heart rate monitor), the eTrex 30x can also read from and write to the chirp™ wireless beacon - or link with your trail buddy&apos;s Oregon®, Montana®, GPSMAP® 64 or other ANT+-enabled outdoor navigation devices. eTrex 30x supports geocaching GPX files for downloading geocaches and details straight to your unit. Visit Geocaching.com to start your geocaching adventure. By going paperless, you&apos;re not only helping the environment but also improving efficiency. eTrex 30x stores and displays key information, including location, terrain, difficulty, hints and descriptions, which means no more manually entering coordinates and paper printouts. Simply upload the GPX file to your unit and start hunting for caches. Unit Measurements 2.1" x 4" x 1.3"